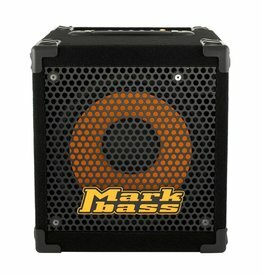 The LX10B is a compact, plug and play practice amplifier designed specifically for bass guitar. 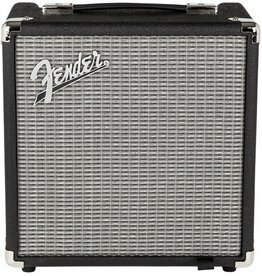 Whether you are practicing, jamming or performing at a small venue, the GE Series will deliver the bottom end with a built-in compressor, active/passive input option and metal grille. 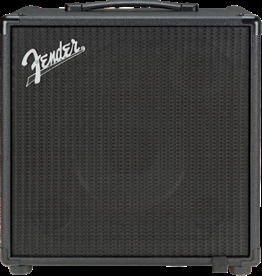 Features 20 watts of power, an 8-inch custom speaker, six COSM amp models, pro-quality effects and 3-band EQ. Eight COSM amp models, including the new SUPER LOW, plus 4-band EQ, wicked effects, and Looper. 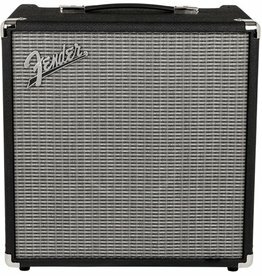 Rumble 15 uses every last electron of its 15 watts to pump out a surprisingly rich and balanced sound. 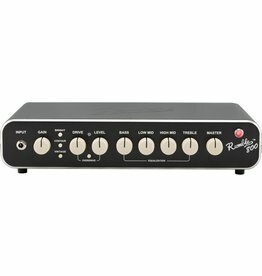 In addition to standard volume and EQ controls, the Rumble 25 adds a newly-developed overdrive circuit and switchable Contour control. 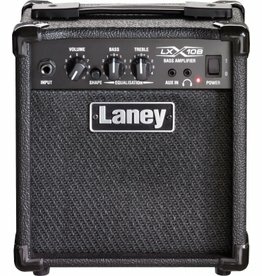 A newly developed foot-switchable overdrive circuit and versatile three-button voicing palette deliver powerful tones ideal for any gig. 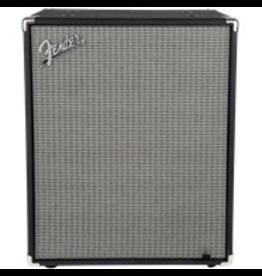 Built with great features including classic Fender styling, dual 10" Eminence speakers and compression horn, overdrive circuit, versatile three-button voicing and more. 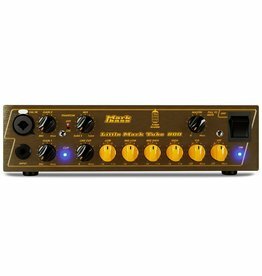 The versatile signal chain with high-quality onboard amp and effects models produces amazing tones. 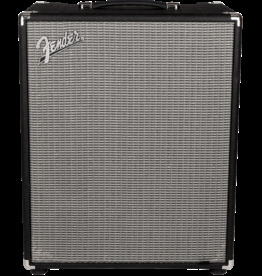 Perfect for rehearsing and recording, the Rumble Stage 800 harnesses the potent processing power of Fender’s GT engine. 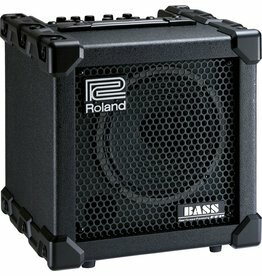 Never have bassists been able to get such great tone and volume from such a light and portable amp. 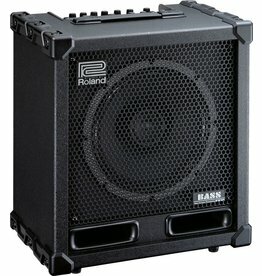 Professional cabinet that performs well in any club, big or small. 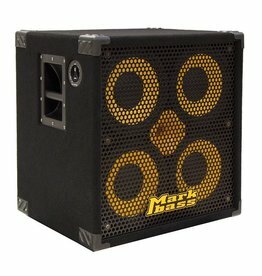 It puts out impressive power at 800 watts and weighs only about 48 lbs. 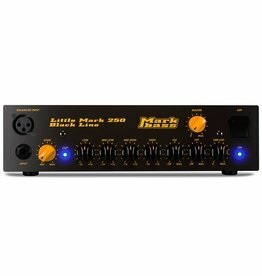 The two blendable preamps give you the warmth and richness of a tube preamp, the clean attack of a solid state preamp… or a mix of both! 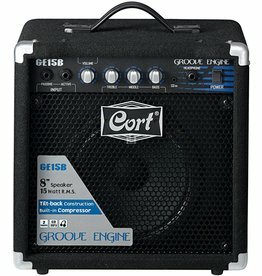 Smart, inexpensive choice for those who don't need the full power of a 500W head. 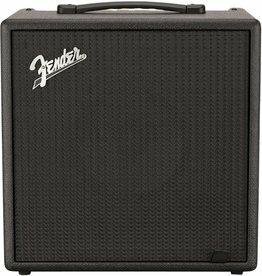 The Rumble 800 Head is ideal for almost any genre of music, and at 800 watts, it has power to spare. 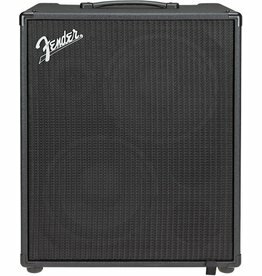 For bassists everywhere at all levels who prize a great-sounding 2x10" enclosure with textbook Fender punch, power and clarity, the Rumble 210 Cabinet delivers all that plus great affordability. 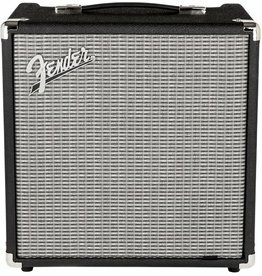 Create your own sound and get inspired with over 15 amp models and 40 effects—all controllable via Bluetooth.